SkiL-Care Wheelchair Econo Alarm secures to any wheelchair. 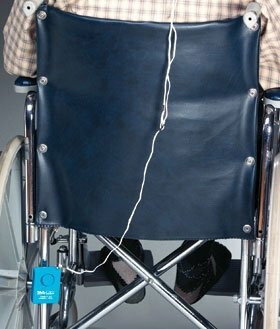 Clips to patient's clothing and warns caregiver of wheelchair exit. Helps prevent falls and injuries. Rugged, long-lasting design. Guaranteed for six months or we'll replace it. Includes 9V battery and chair attachment.